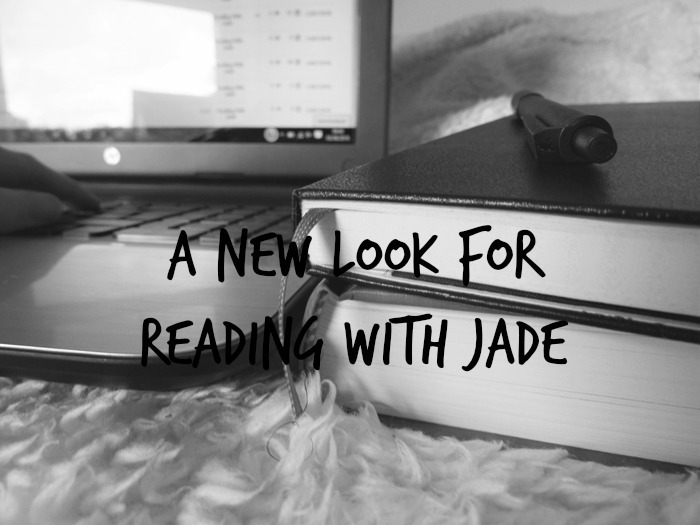 I've been talking about wanting to smarten up the look of 'Reading With Jade' for quite some time now, and I've finally gone and done just that! Whilst I love and admire the beautiful illustrated designs on other blogs, bookish and otherwise, I knew with my design change I still wanted to keep things pretty minimal around here. I like having a monochrome design, and keeping the general look of my blog pretty 'basic'... Honestly one of those reasons is largely because too much fuss is a bit rough on my eyes as I have sensitivity to certain colours and lights etc. Being very non technical, I decided to look about for a company in which to purchase a Blogger template from... The one name that kept popping up was Pipdig - the company offers templates for both Blogger and Wordpress, and all of them are super reasonably priced. After talking to a fellow blogging friend, who also used Pipdig for a new blog design, I purchased a template and as they say... The rest is history. I opted to have my template installed for me for free, as I literally know nothing about the technical side of blogging, and within 48 hours I had my new swanky blog design. I know the basic monochrome look isn't for everyone - but feel free to share your thoughts on the new look in the comments. This was just a little post to acknowledge the change. There will be no new content up here until after Christmas now, so I wish you all a wonderful Christmas! I will be back on the 27th with my favourite reads of 2016 - I'm so excited to read these posts from other bloggers also!! Love it! Simple and elegant. Merry Christmas to you and your family! Thank you, Christine! I hope your family has a lovely Christmas too! Merry Christmas! I love minimalistic blogs. I sometimes go cross-eyed while trying to read colorful ones. I love it! I need to look into getting a new template. I'm so cheap and have a hard time spending the money on one. Your new site looks awesome! I was really reluctant to spend the money on a template also, but I decided to just treat myself for Christmas :-P I really wanted the update, and don't know much about HTML to trust myself to do it, and so ultimately it just made sense to purchase one. I love it! I hope you have a wonderful Christmas. Thank you! A little late in replying, but I hope you had a lovely Christmas!